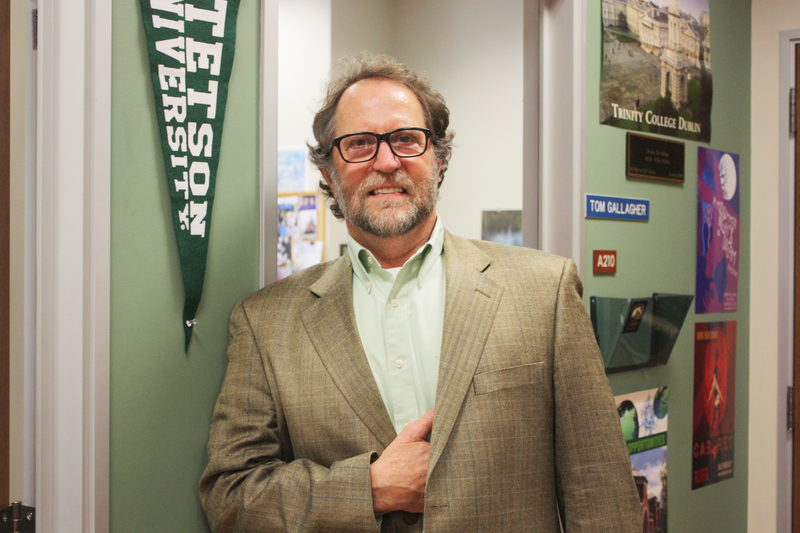 Having worked at Loyola for over 30 years, Tom Gallagher continues to serve the Cub community as a member of the counseling department. Gallagher, a Los Angeles native, is one of eight children. He attended both Hoover and St. Francis high schools and said that his experiences as a high school student helped to inspire his decision to become an academic counselor. “I think the high school I went to really never talked to anybody about college. The assumption was that if you wanted to go to college, you would go to a local college,” Gallagher said. Gallagher graduated USD with bachelor degrees in English and psychology in addition to a masters in Marital and Family Therapy. Prior to his arrival to Loyola, Gallagher worked in various fields, including truck driving and the Glendale sanitation department, to pay for his education, particularly graduate school. “Everything was in line to culminate in education,” he said. In addition to counseling, Gallagher’s other primary assignment has been working as a member of the admissions committee. “I worked quite a few high school nights, the open house, helped with the actual process of reading the files and choosing a class. I’ve been involved in that for probably about 20 years,” he said. When Gallagher is not at Loyola, he enjoys racing autocross, traveling, riding motorcycles, and camping. He is the father of three adult children, and he is planning to celebrate his 30th wedding anniversary this August.